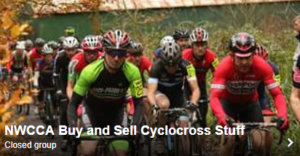 This Saturday sees round 9 of the NWCCA league return back to the Lakes for what hopes to be a great day out at the”Races”! Cartmel Races 14th July 2011. 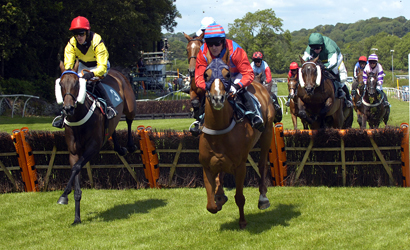 A P McCoy on He’s a Hawker in the Novices’ Hurdle Race. during the long hot summer months. Due to popular demand we have again convened a separate U12/10/8’s course away from the Seniors/Youths allowing riders to practise on their own course prior to their event. However we have made some alterations to the Senior/Youth’s event which we hope will meet with approval including a relocation of the pits now situated at the bottom of the field. We have extended the course and included some additional interesting features to suit all abilities riding this challenging but enjoyable race. We have managed to secure a number of quality prizes for all youth categories/U12/10/8’s from Leisure Lakes in Lancaster as well as a meal for 2 in both the First Male Seniors Race and First Female in the Womens race at the nearby Quality star rated Pig and Whistle Restaurant in Cartmel. Finally can I remind all, that we are having to charge a parking fee of £3 per car for this years event in order to pay for the use of the grounds. Can you therefore make sure you avoid parking in the village and be directed by marshals on arrival for the day.. Thanks very much for your support and we hope you enjoy your day out at the races this year!